Ace Online is a unique 3D MMO that puts you in the pilot seat of your own fighter ship (known as a Gear). 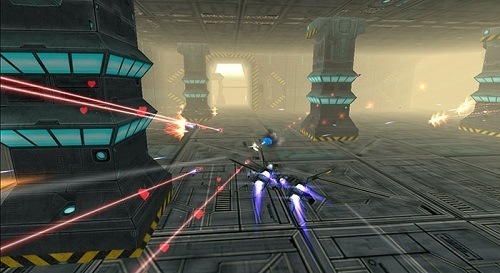 Set in a futuristic world players will get to experience fast paced combat blended with RPG, FPS and MMO elements to create a very unique game offering. The game world of Ace Online is very fleshed out with a wide range of maps for players to pilot their Starfighter over while levelling up, upgrading their ship and making friends in traditional MMO style. While a skill system is present in the game players will find that their fighter’s strength is based more on skilful piloting and equipment which helps the game avoid too many imbalance issues and make the overall experience more fun. On the PvE side of gameplay players will find that the game is very mission focused with players jumping from mission to mission while unlocking new content (such as maps, items and skills). PvP on the other hand is much more fluid with players able to easily challenge others in a range of game modes. PvP is definitely where Ace Online shines with the two factions of the game constantly at war with each other. 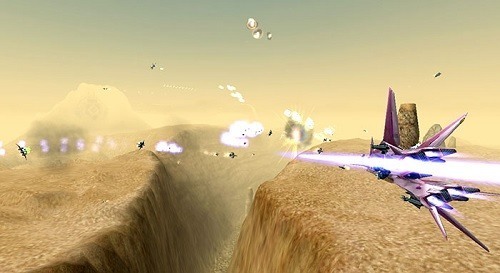 Similar to other games Ace Online allows factions to battle for control of certain territory which can provide all sorts of tangible benefits for that faction. In addition to fighting over locations players can participate in faction raids, skirmishes and mothership battles. If you’d rather test your skills against a friend or enemy directly players have the ability to challenge others to 1v1 duels or formation (party) battles which serve as a nice break from the more structured faction PvP. Fans of fast paced and skill orientated MMOs will definitely find a home in Ace Online which is definitely one of the more unique MMO experiences out there. Pilot your own fighter in intense combat. Explore a large game world and complete missions in PvE. Free to play, client available for PC only.